Understanding SEO vs PPC: Which One Should You Choose? You are here: Home / Announcements / Understanding SEO vs PPC: Which One Should You Choose? This humorous quote might seem slightly foolish and funny at first. However, consider the fact that the first search result gets 28.91% of all clicks on desktops. If your website doesn’t appear on page 1 of Google, it is less likely to get discovered through other means. The quote seems believable now, doesn’t it? 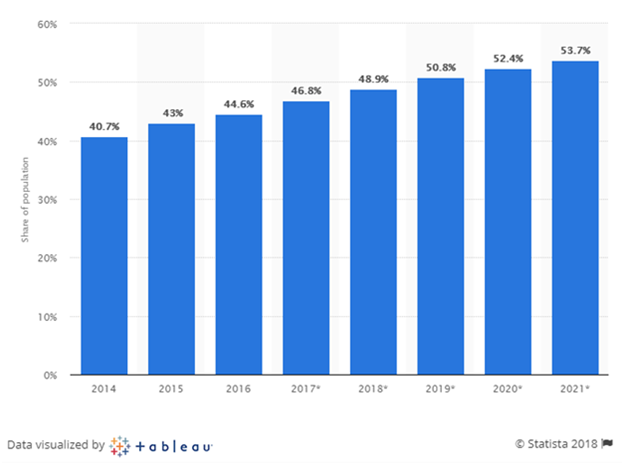 According to Statista, 48.9% of the global population has searched online in 2018. This figure is expected to reach 53.7 percent by 2021. So, in order to flourish, it is important for your business to have a strong online presence. Digital marketers and website owners must develop intelligent and innovative strategies for search engine marketing. Broadly, there are two ways to achieve increased visibility on different search engines. One approach is improving your search engine ranking naturally to drive more organic traffic to your website from search results. This is popularly known as Search Engine Optimization (SEO). It involves several techniques including keyword research, quality content creation, and link building. The other approach is to pay search engines for a space in relevant search results. 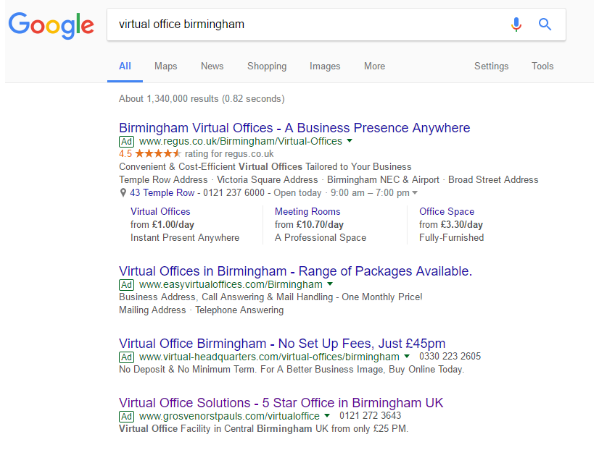 Such ads often appear above the organic results giving more visibility to your business. The most common form of this is pay-per-click (PPC) advertising. In simple terms, it means you pay the search engine for every click on your advertisement. One common dilemma that digital marketers face is choosing between these two forms of search engine marketing. Both SEO and PPC have their own set of pros and cons. The best approach for you depends on the nature of your business and your ultimate objective. Before we draw a comparison between SEO and PPC, let’s take a look at each approach in detail. SEO refers to a set of strategies that focus on driving organic traffic to your website from search engine results. 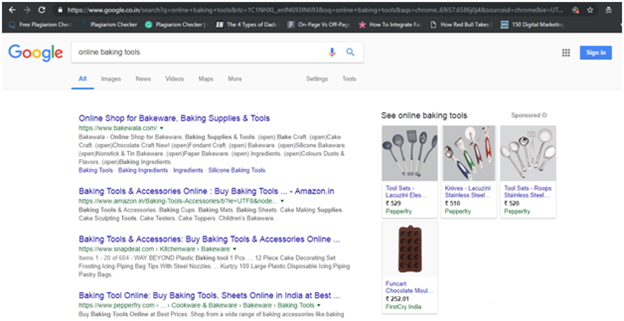 This is another way of saying that these techniques are directed towards taking you to the top of search engine result pages (SERPs). Search engines have a preference for websites with relevant and high-quality content and a strong inbound link profile. It is evident that quality content is at the heart of SEO. The first step is to conduct thorough keyword research. It enables you to identify the keywords that you want to rank for. This can be done through tools such as KWFinder or Moz Keyword Explorer. All you need to do is enter your desired search term, and you’ll get a list of keywords which you can target. You’ll get to see their search volumes as well as competition so that you can choose the ones that can get you the best results. Once you have picked your keywords, it is then time to develop content that incorporates those keywords in a natural manner. It should be unique, easy to understand, and free of any spelling and grammatical errors. In addition, your content needs to be meaningful and valuable to the reader. It is advisable to identify the questions and questions that your target audience is likely to search for. Create content that offers answers to their questions and solves their problems. Unethical practices such as keyword stuffing and content scraping don’t yield any positive results and should be avoided. Another important aspect of SEO is to build a powerful link profile. The idea is to earn high-quality backlinks in a natural manner. This tells search engines that your website is an authority on a particular subject. Again, resorting to malpractices such as spamming and buying links can get your website penalized. Apart from this, you should also ensure that all your web pages are indexed properly. This ensures that your pages are visible to search engine bots. Work on your meta tags and incorporate relevant keywords into them. This helps search engines understand what your web page is all about. Reaching the top of search results isn’t enough. You need to run regular on-page and off-page audits and analyze the results to sustain your position. 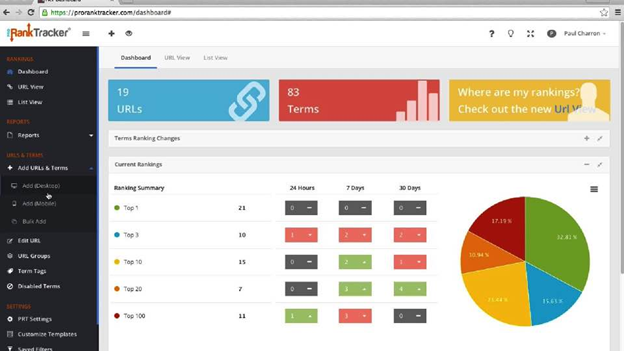 You can use rank-tracking tools such as Pro Rank Tracker (PRT) for this purpose. It is completely cloud-based and enables you track your website’s performance, identify additional keywords, and maximize your profits. All of these techniques require you to invest a significant amount of time and effort when done manually but PRT makes it easy. If you don’t possess the technical know-how, you’ll need to hire an expert who will work on SEO for you. This requires you to set aside a specific budget as well. Before you start planning your SEO strategy, weigh the pros and cons to understand if it is suited for your product or service. The biggest power of SEO is that it grants visibility and credibility to your business. A high search ranking conveys that search engines perceive you as a trusted source of valuable information. When you rank high in search results, your target audience is more likely to click on the link and visit your website. In general, most online users would trust a high ranking search result instead of a sponsored ad that appears above it. Also, if you deliver valuable content continuously, users are more likely to keep coming back to your website. This can go a long way in reinforcing customer engagement and loyalty. Thus, SEO is extremely useful in creating brand awareness and trust in the long run. It is also noteworthy that users who visit your website through search engines have actively searched for your product or service. Therefore, these potential customers have a high likelihood of conversion. That is why SEO can provide better ROI when compared to traditional advertising methods such as print ads and television commercials. Another advantage of SEO is that organic traffic from search results is essentially free. Search engines won’t charge you for every click or impression. The only capital you have to spend is when you hire an individual or agency to take care of SEO. Unlike paid ads, the results simply don’t vanish the moment you stop paying. SEO is more cost-effective as you don’t have to pay search engines for individual keywords. This is especially crucial when you want to rank for multiple keywords. Also, once you reach the top of the SERPs, it gives you an edge over your competitors. Unlike paid ads, they can’t buy their way to overthrow your position as long as you continue to work on optimizing your search rankings. Looking at these advantages, you may be tempted to consider SEO as the most effective approach to search engine marketing. However, even the best SEO practices have a few drawbacks. The main downside is that SEO is a long-term process. Depending on the keywords you want to rank for, it can take several months before your efforts start showing any results. It becomes even more difficult when your business is from a popular niche involving many competitive keywords. Let’s say you have launched your own ecommerce business. The keywords you will target are the same as those used by big platforms such as Amazon. In such a scenario, bagging the top position on the SERPs can be a herculean task. In addition, your search engine rankings are highly dependent on the search engine algorithms. Every time the search engines upgrade their algorithms, your rankings might be affected. So, your SEO tactics need to be constantly modified to keep up with such algorithmic changes. SEO isn’t a great option when you are looking to garner swift traction. For instance, you might want to promote an event or a limited-period sale. In such cases, you can’t afford to wait for your SEO techniques to drive organic traffic to your website. You’d rather opt for other forms of search engine marketing that deliver immediate results by increasing your website traffic quickly. This method of search marketing involves the creation of ads that can be placed on top of relevant search engine results. Since this is a sponsored promotion, you have to pay search engines every time you earn a click on your ad. The first step in executing a successful PPC campaign is to identify your target audience. Based on this, you can select the appropriate keywords. Just like with SEO, you can use keyword research tools to find relevant keywords. In addition to keyword-based targeting, you can also specify user demographics like their locations, device, language, and online behavior. You can also target those users who have previously visited your website. This increases the recall value of your product or service, boosting your brand’s visibility. Most search engines offer their own online advertising platforms for creating and executing PPC ad campaigns. For instance, you can create your own Google Ads account to create PPC ads on Google. You can also hire an agency or a certified individual to create and run your search ads. Traditionally, most search engines allow text-based search ads. In these, you can specify headings, links, reviews, individual product or service descriptions, contact details, and address. Such ads occupy a large amount of screen space, almost the equivalent to three organic results. Google has now introduced visual ads in which advertisers can use images as well. Such visual ads are often very useful for product-based businesses. They are more attractive than text ads and grab the audience’s attention very quickly. PPC campaigns are extremely useful when you want to boost your website traffic within a short span of time. A certified expert can create such ads in a few hours. If you bid for the right keywords and specify your target audience precisely, you might notice a quick spike in your website traffic. This is especially useful when your keywords are highly competitive. Also, search ads allow you to narrow down your target audience using specifics such as online activity, location, device, etc. Such precise targeting ensures that your ad is only delivered to those users who are likely to find it relevant. It gives you better control over who you want to show your ads to. Paid search ads appear on top of organic search results and occupy a significant amount of space in SERPS. When such ads are seen by your potential customers, it boosts brand visibility. Some of them might not click on your ad right away. Instead, they might prefer to run a thorough online search for your business. Even if that is the case, you still get to create buzz about your business in the online space. Online advertising platforms such as Google Ads also give you access to detailed analytics of your campaign performance. This can be useful in identifying the keywords that generate maximum conversions at an optimal cost. Monitoring such data allows you to further optimize your PPC campaign. You can easily split-test such ads to improve their performance. Search ads also give you more control over the information you wish to share with your audience. You can create comprehensive ads containing your business’ address, contact details, and reviews. You can link your ad to relevant landing pages that are designed to drive conversions. Adding images to your ad will also help grab the attention of your potential customers. In addition, PPC campaigns are immune to changes in search engine algorithms. As long as you have the budget to invest in search ads, they will continue to yield results. This, of course, demands hands-on experience and expertise. It also requires constant monitoring to see how your ad is performing. The biggest drawback of search ads is that search engines explicitly specify that these are sponsored listings. Many online users are skeptical about clicking on such sponsored links. Therefore, establishing brand trust and credibility with search ads is a huge challenge. In fact, according to a recent study, 94% of users skip search ads and head straight to organic search results. In addition, even the most carefully executed PPC campaigns are expensive because the search engines charge you for every click. Running international campaigns and targeting competitive keywords can exhaust your marketing budget very quickly. This is in addition to the fee that you pay to the agency or individual who is running these campaigns for you. Another disadvantage of search ads is that they require constant investment. The results dry up the moment you stop paying search engines. So, you can’t rely on these ads when you can’t allocate sufficient budget for such campaigns. PPC campaigns are also very easy to copy. Your competitors can run a quick search and check out your ads. They might even imitate your ads in their own campaigns. Worse, they can even evaluate your strategies and mimic them. Unlike SEO, in which duplicate content is heavily penalized, there isn’t much you can do when someone copies your search ads. SEO vs. PPC: Which is the Right Approach? Goal – Do you want to boost your sales or drive more traffic to your website? If you want to establish your website as an authority on certain topics, then SEO is your best bet. If you want to generate leads and increase conversions in a short span of time, you should opt for PPC campaigns. Budget – If your business is new and you don’t have enough funds for search ads, SEO is your only option. Regardless of whether you choose SEO or PPC ads, both require you to invest your time and effort. If you are not equipped to do this on your own, you will need to hire a third party agency or individual. This will incur an additional cost. Product or service – Depending on the nature of your business, one approach might be more suited than the other. For instance, if you run a service-based company, SEO is useful to establish your website as an authority in your niche. On the other hand, businesses selling products such as gadgets, apparel, cosmetics, etc. may benefit more from visual PPC campaigns. Timeline – SEO takes time to show results. It works well for increasing organic website traffic in the long run. However, if you are promoting a time-sensitive event or offer, PPC campaigns are more suitable as they yield faster results. Competition – If your business belongs to an established niche, you might face competitors who have been in the industry longer. Trumping them in the SEO game will take a lot of time. Even then, there is no guarantee if you can get an edge over these big-shot competitors. In such a scenario, search ads offer a much more practical way to create brand awareness. SEO and PPC are not two isolated forms of search engine marketing. Rather, they complement each other and should be used in an integrated manner to maximize profits. It is also dependent on the nature and size of your business. The ideal approach is to find a holistic balance between SEO and PPC campaigns. While SEO enhances brand visibility in the long run, search ads are effective to boost website traffic very quickly. You can use the keyword and conversion data from search ads to further improve your SEO strategies. It is advisable to shift high-cost and low-converting keywords from PPC to SEO. What do you think the best form of search engine marketing is? Share your views in the comments section below. https://blog.proranktracker.com/wp-content/uploads/2018/12/seoppc-2.jpg 346 1000 ProRankTracker.com http://blog.proranktracker.com/wp-content/uploads/2019/03/logo-blog-1.png ProRankTracker.com2018-12-05 14:17:572018-12-05 14:19:42Understanding SEO vs PPC: Which One Should You Choose?